Tips on how to find what you are looking for with a Google search? The Google Staff are always working hard to help you easily find what you're looking for. 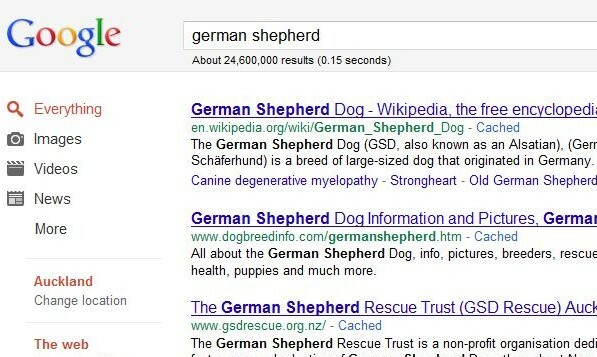 While they don't provide personalized search assistance, they can offer plenty of tips to help you search more strategically. First, choose your keywords wisely. Select descriptive, specific words. For example, [ 2004 football statistics ] rather than [ football ] or [ Vancouver 2010 Olympics ] instead of [ Olympics ] [ Wairoa Help Centre ] rather than [ Wairoa ]. If you're looking for an exact match, try a phrase search. When you enclose your search query in quotation marks, you'll only get results for the exact terms you entered in the order you entered them. For example, [ "Julia Fractals" ] rather than [ Julia Fractals ].